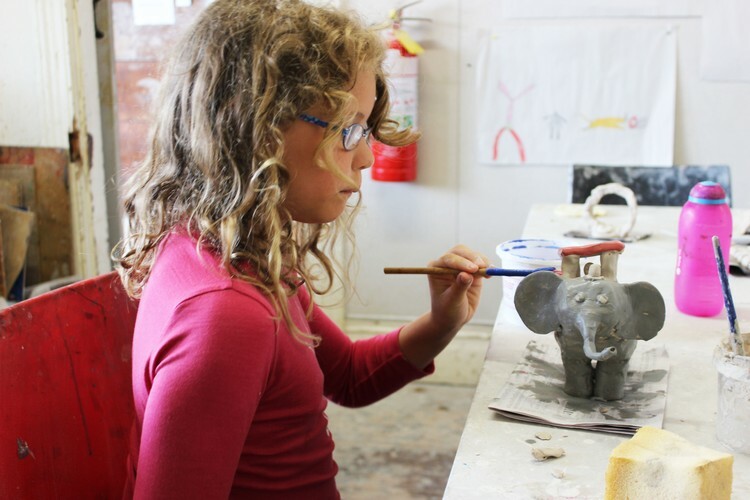 Take a ride on the wild side and make a personalised sculpture from soft clay! Perhaps you would like to create yourself horseback riding, riding a white whale or a motorbike? These are just a few examples to get you inspired. On the second day you’ll learn how to decorate your sculpture with colourful slips. A pottery wheel is available to enjoy throwing small vessels too. Everything will be glazed and fired for you to make it durable. Ages 6 to 12. Class 12 max. Materials and firings included. Dress for mess and pack a lunch and a drink bottle.